New York’s Best Kept Secret for FREE WiFi | "The What, How, Where"
It’s 5:00pm. You’ve completed an amazing presentation in Midtown Manhattan and are gearing up to head to Grand Central Station so you can catch your kid’s soccer game. You check your Blackberry to make sure everything is okay at the home office when low and behold you receive an e-mail from the client asking for supporting documentation for your proposal. You can’t send a response via text and you’re too far away from your office. What do you do? You need WiFi NOW! Conventional wisdom says find a Starbucks or use a FREE WiFi app locator. Being a road warrior in Manhattan I find the WiFi dicey. As much as Starbucks is everywhere, it can be often crowded and difficult to concentrate (same goes for McDonald’s). You can try one of the dozens of hotels in Manhattan, but some offer free access and others don’t. Some of the parks offer free access (i.e. Bryant Park) but with winter temps around 30 degrees who wants to work outside? What’s the “on the go” executive to do? What if I were to tell you there’s a viable solution with 32 locations in Manhattan? What if I also said that they are quiet and give you ample room to work? Best of all it’s FREE and you don’t even need to be a member. Would you be interested? The solution I’m talking about is the New York Public Library. Near Grand Central Station alone there are 3 locations, all with high-speed internet access. It’s a great place to duck in if you need a half hour to be productive. Please note while it’s never a problem securing work space, many locations close at 6pm. 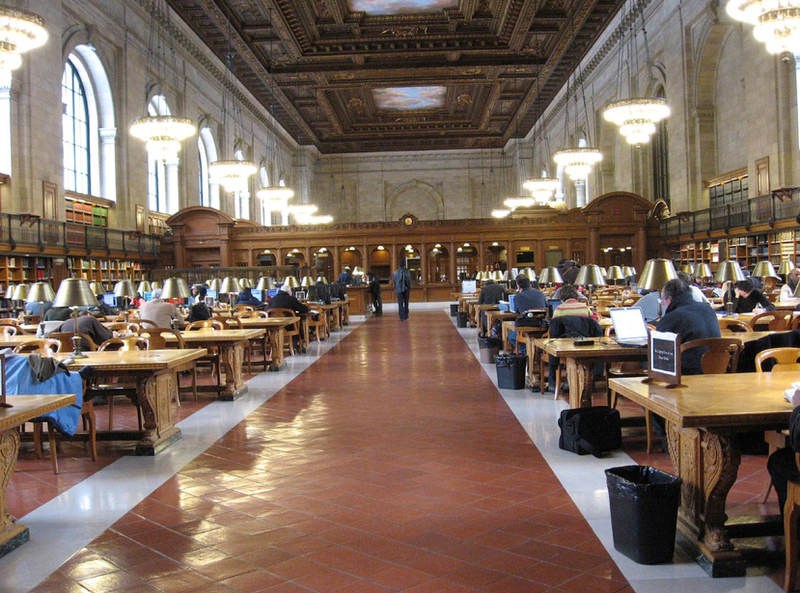 What’s best about the New York Public Library is that you don’t need a membership to gain access, don’t have to fight others for a table or even purchase a cup of coffee. It can be your office away from the office.